Summer memories are made of barbeques, ice cream treats, and days by the swimming pool. These days can be filled with fun and magic. However, it is important to remember that swimming pools can also be the site of terrible tragedy. Our Northern California swimming pool lawyer knows that these tragedies leave unspeakable scars on the families that experience them. While money damages cannot bring back the children lost in these events, bringing a civil claim may be appropriate in some cases and can provide resources that allow the families to move forward from a terrible loss. This weekend, The Oakland Tribune covered the death of a young child in a California community pool. At around 5:40 P.M. on Friday, emergency officials were called to the County Fair Mobile Estates, a South San Jose mobile home park located off Senter Road at 270 Umbarger Road. Prior to their arrival, Dianne Ranteia and her 23 year-old daughter had pulled 4 year-old Michael Trinh from the water after spotting him at the bottom of the pool. Officials found Trinh unresponsive and, despite transferring him to a local hospital, later pronounced the boy dead. It is unclear how long Trinh had been in the water before the women spotted him. Although the boy did not live at the park, a relative of his does. Other residents reported that about 45 minutes prior to the incident they had seen a young boy near the pool. The witnesses noted the child was accompanied by adults who appeared to be his parents. Drowning is a major safety threat. According to the Center for Disease Control, the United States saw an average of 3,533 fatal unintentional and non-boating related drownings each year from 2005 to 2009. This works out to ten drowning deaths a day, making drowning the nation’s fifth leading cause of unintentional injury-related death. One in five drowning deaths involves a child age 14 or younger, meaning two children die per day due to drowning. Further, five children receive emergency room treatment for non-fatal submersion injuries for each child who dies due to drowning. For children aged one through four years, swimming pools are the most common drowning location. Swimming pools can also be the site of other serious injuries including falls, diving-related accidents, and reactions to pool chemicals. In some cases, swimming pool injuries and/or fatalities can give rise to legal liability, allowing the victim (or a family member) to bring a civil claim for money damages. Different legal theories may apply depending on the precise facts involved. 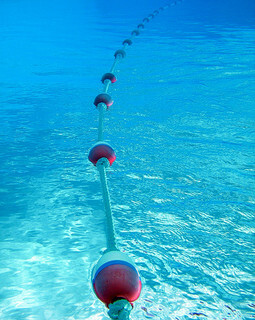 Often, premises liability theories are relevant to civil actions for pool injuries. This area of law holds property owners liable for injuries occurring due to a dangerous/hazardous condition of which they was aware. In pool cases, the owner is generally required to take reasonable safety precautions to protect anyone entering the property, including trespassers. The “attractive nuisance” doctrine is part of premises liability law and can be used to hold a property owner liable in pool cases, including where a young child enters the property to “play” when no adult was nearby. In addition to premises liability theories, other areas of law can protect drowning and other pool injury victims. Negligence principles may be relevant, such as in a case where a commercial pool operator hires inadequately trained lifeguards or a pool maintenance company fails to address a hazardous drain. Products liability theories may also apply in some pool drowning cases, specifically in cases where a pool component or other equipment caused the incident. Our Oakland pool injury lawyer understands the wide range of civil law concepts that can protect victims of pool drownings and other pool injuries. If you believe someone was responsible for a pool injury in San Francisco, Oakland, or another Northern California community that harmed you, your child, or another relative, please call to arrange a free consultation.